Head of Public Health Nursing, Viv Bennett has asked me to write a piece for the NHS to raise the profile of a range of children's health issues. The aim of this Population Health Practice for Children and Young People #PHPCYPweek is to celebrate good practice, motivate and enthuse professionals. Natty had keyhole heart surgery when she was two years old, and more recently underwent a tonsillectomy. The medical angels who have helped us along our journey will forever be in our debt, but it is the role of the little known Learning Disability Nurses that I have chosen to focus on for this piece. They mean so very much to me that I have chosen to work more closely with them at conferences and training days as it is a profession that is often undervalued. Hayley Goleniowska is Mum to two girls, the youngest of whom, Natty, has Down’s syndrome. She also writes a blog that has been awarded for its Outstanding Contribution to Society. Here Hayley talks about the key medical professionals that have supported them all and the vital role of learning disability nurses for families like theirs. Our youngest daughter is seven and has Down’s syndrome, and has been hospitalised a few times, for surgery or respiratory infections. It was only through a chance meeting at a British Institute of Learning Disability conference that I met and learned about the role of learning disability nurses and even then I immediately made the false assumption that these incredible professionals were on standby to help adults in need of support. It was only when our daughter was admitted for a routine tonsil and adenoid operation recently that I began to wonder if they might be able to help younger patients and their families too. After bumping into the LD nurse team lead in a corridor during a pre op visit, we were delighted to find that the team were only too pleased to support us. I received a call at home to talk me through my concerns ahead of our daughter’s surgery. I was able to explain my worries about Natty’s needle and Emla cream phobia and lack of understanding about why she might have to wait long periods of time without eating on the day of her operation. The nurse was able to liaise with the anesthetist to arrange skipping the pre-med and also advised surgical teams that our daughter should go to theatre as early as possible on the day to avoid uncomfortable situations that she would not be able to deal with mentally. Not only were these practical matters addressed with ease, but I found someone who understood my fears and worries as a Mum, who realised that even minor surgery conjures up memories of more serious heart surgery past. She understood that however many times our little ones undergo such procedure, it doesn’t get any easier for parents. She wasn’t even shocked by my tears. My fears were taken seriously and eased considerably, just by having someone with the right experience to lean on. Someone who understood and knew how to communicate with our daughter. A member of the team made sure to visit us while the surgery was taking place too and we chatted that awful time away until Natty returned to us safely. Learning disability nurses play an invaluable role in hospitals. They remove fear and they make sure procedures and stays go as smoothly as possible. They translate between the families and the consultants, surgeons and managers as well as being a vital mouthpiece to communicate the needs of those with LD. Thank you to them all for the work they do with us. As Learning Disability nurse Helen Laverty would say, that by working "together we are better." 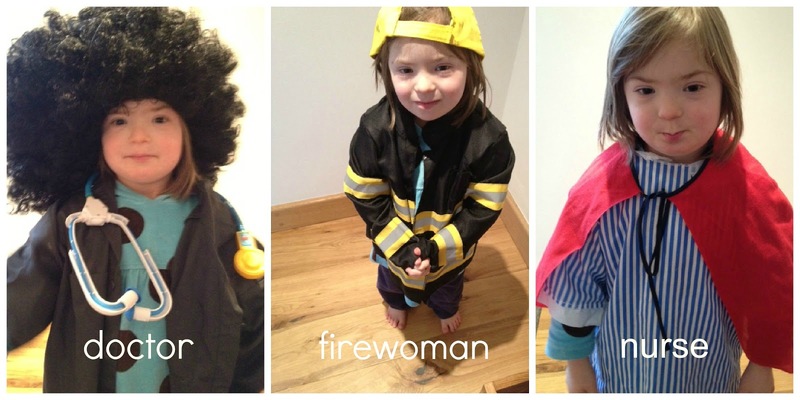 Follow all the events of the week over on Viv Bennett's blog where you can read more accounts by parents such as Tom at The Future's Rosie. Support sites such as CANparent and Start4Life provide invaluable information for new parents and Disability Matters is a fabulous new eLearning site for those working with disabled children. 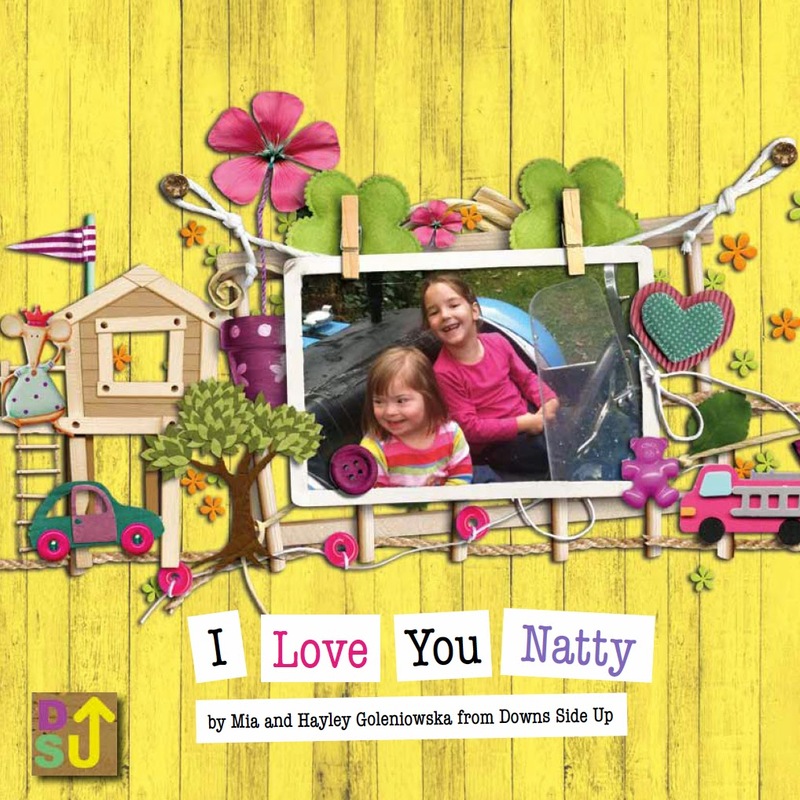 I Love You Natty: A Sibling's Introduction to Down's Syndrome here at Waterstones or from Amazon.